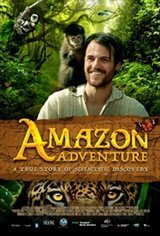 Amazon Adventure tells the epic, true story of explorer Henry Bates' fascinating 11-year journey through the visually stunning and biodiverse Amazon rainforest as a young man who risks his life for science in the 1850s. Bates unearths the major discovery of the phenomenon of mimicry, whereby certain animals adopt the look of others that helps them deceive predators and gain an advantage to survive. 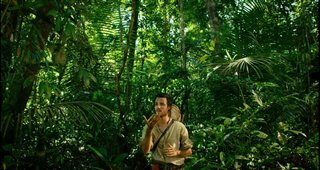 Little known to the public, Bates made other crucial contributions to biology: identifying 8,000 species new to science and most importantly, putting the first ever case for the creation of a new species, which Charles Darwin called the "beautiful proof" for Natural Selection.